I have the recipe for immortality. This is it, and its scientifically proven in that so far I am immortal. Things could change of course, but I’m going to be kind and share it with you, just to give you all a chance. And, if the immortality thing turns out well, we’ll all be in it! Immortality aside for a second, this is a dip packed with nutrients, and ingredients which are rich in healthy fats, vitamins, minerals and, according to this article, anti-cancer compounds. So as it turns out immortality isn’t such a tall order after all, maybe? 1. Scoop the avocado into the food processor. 2. Crush and finely chop the garlic and throw in with the avocado. 3. Cube the cucumber and add to the mixture with the whole cherry tomatoes. 5. 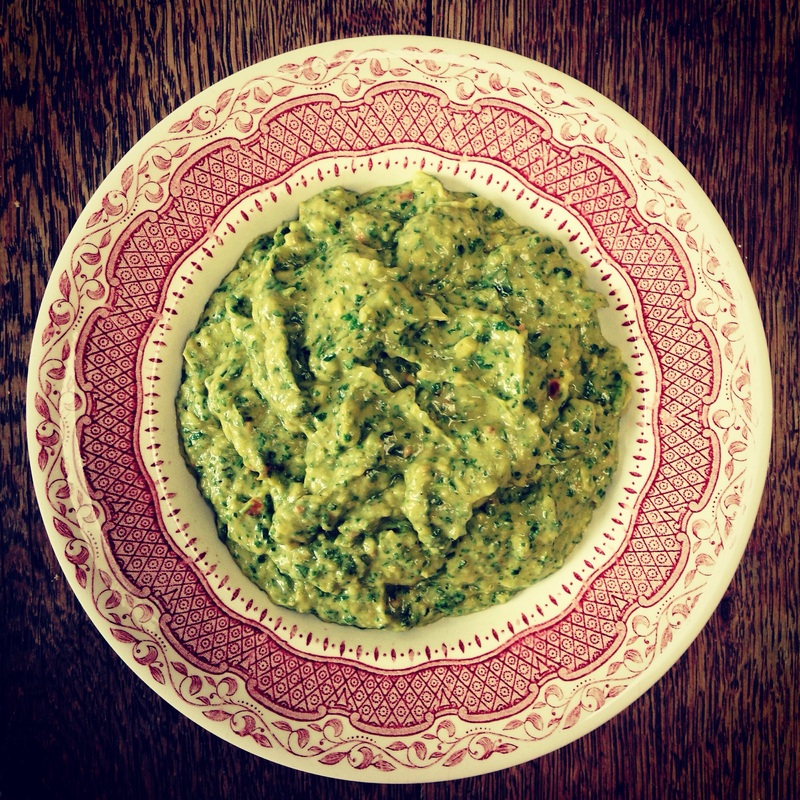 Chop a handful each of coriander and watercress and add to the food processor. 6. Add the olive, oil, cayenne pepper, salt & pepper and blend to your preferred consistency. 7. 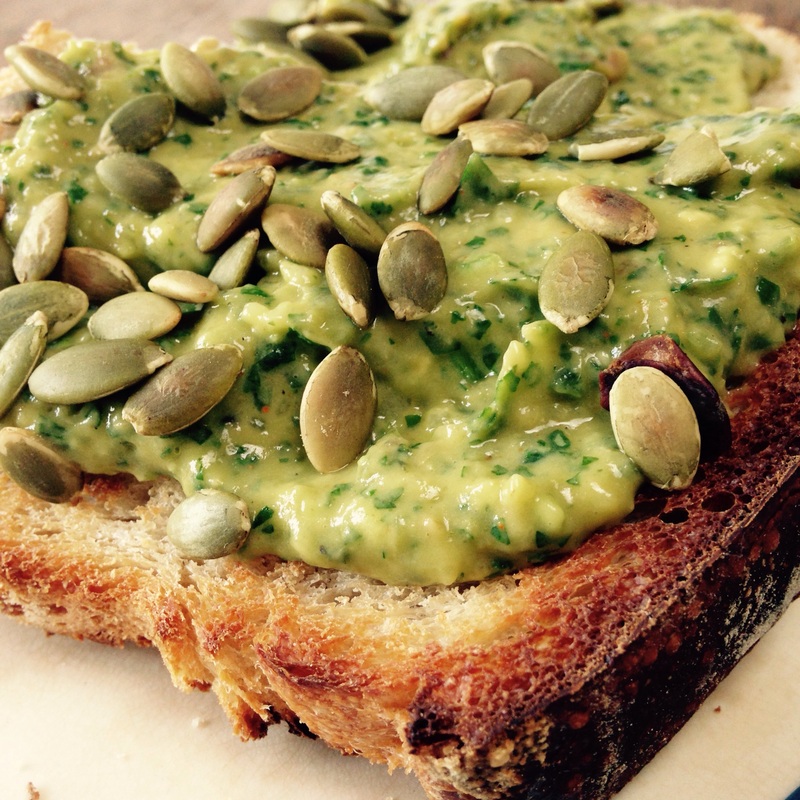 In a hot dry pan, toast a handful of pumpkin seeds until the pop and serve on top the of guacamole. This makes a great lunch, spread on Toast! or oatcakes. Or a dip with tortilla chips or fresh crudites! However you enjoy it, let me know!